Okay so if you have been around these parts for a while you know I bloody love a foundation that gives me glow. So when I read the ream and reams of info there is out there about The Ordinary Serum Foundation, my wee ears pricked up. Lots of glow for just over a fiver? Gimme. This foundation on first impression is very liquidy. I will admit I got it entirely over my dressing gown when I first tried this in my 7am make up routine - beware! With the consistency in mind, I thought that the foundation wouldn't do much in terms of coverage but I was wrong. I would say it gives a light/medium coverage but the glow it gives your skin is insane. You look like you have slept for 1000 years, its almost light reflecting but with 0 glitter in it, its the craziest thing! In terms of shade range it caters quite well for us fair ladies and has a wide range of deeper shades too which is great! I colour matched myself online, and I have to admit I uhmed and ahhed for a while over which shade would be best for my skin tone and it did take a lot of research of swatches and face applications for me to be sure. I am a 1.0N for reference. For comparison this is very much like the Charlotte Tilbury Light Wonder Foundation and the Even Better Glow by Clinique, both favourites of mine. Except this is a sixth of the price! It's worth noting that this will not be for you super oily skin gals. I have very dry skin so anything that gives me glow I will use obscenely liberally. I apply this with a flat top buffing brush because I used it with a beauty blender and found I was using a lot more products because it was being drunk up by the sponge! I also love this foundation in combination with Glossier's stretch concealer. The two work really well together to give a your skin but better finish. I want to note that I have also tried the Coverage Foundation which I got in the same order but have only tried it twice, people who like Doublewear will probably like it but it is definitely more medium coverage than full. 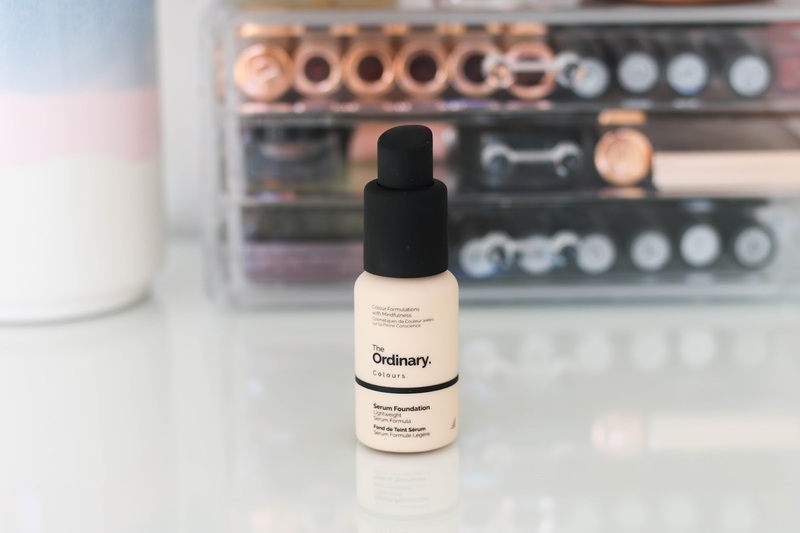 Have you tried any of The Ordinary's foundations?